The suspect was last seen pedalling off towards Daniel Avenue and Dunblane Cemetery. Police are on the hunt for a man who attempted to rob a Stirling store at knife-point, but fled on a bike after leaving empty-handed. 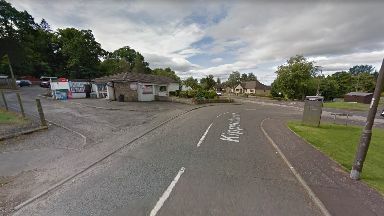 The incident happened at a shop on Kippendavie Road in Dunblane at around 7.15am on Saturday morning. The suspect was last seen pedalling off towards Daniel Avenue and the cemetery. Detective sergeant Will Hogg said: "This was a very frightening ordeal for the staff member, though, thankfully, no one was injured. "I am keen to hear from anyone who remembers seeing any suspicious activity around the Kippendavie Road area this morning or who may have seen the suspect. "Similarly, if you have any other information relevant to our ongoing investigation then please also contact police immediately."